A bigger and better Hokkaido Ramen Santouka at SM MOA reopens on May 23, 2018. 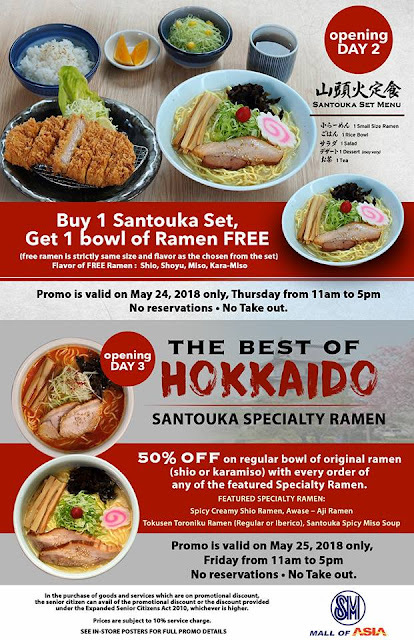 Enjoy 50% OFF on any original Ramen on its reopening day on Wednesday! Plus... enjoy awesome deals on the 2nd and 3rd day, May 24 & 25, 2018 from 11am to 5pm only! 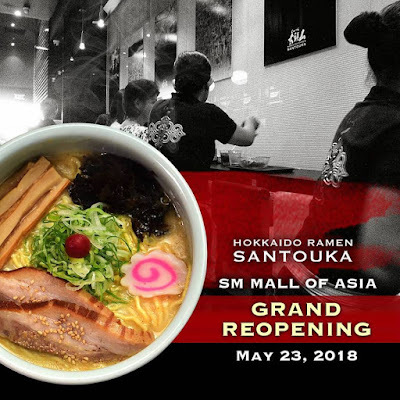 Santouka Mall of Asia is at the 2nd floor NORTH VERANDA, Entertainment Mall.